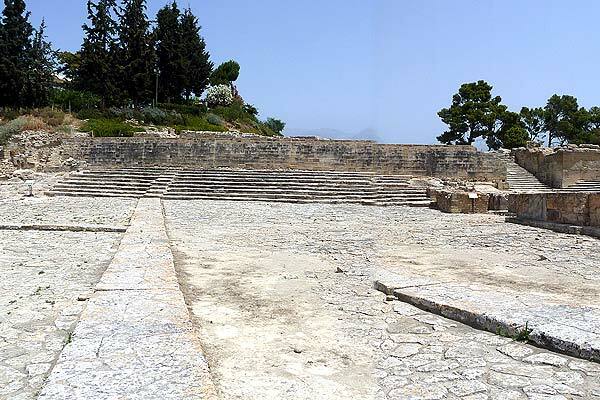 The Minoan Palace of Phaistos, is located in the Messara Plain in south-central Crete, 55 kilometres south of Heraklion and it is one of the most important archaeological sites in Crete. 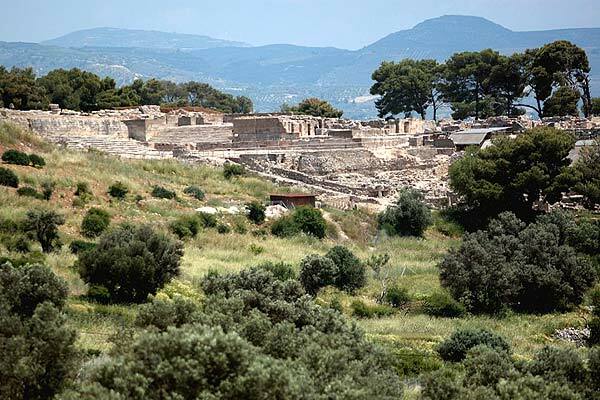 The Minoan palace of Phaistos and the area surrounding it was a flourishing city which arose in the fertile plain of the Messara in prehistoric times, from circa 6000 BC to the 1st century BC, as archaeological finds confirm. 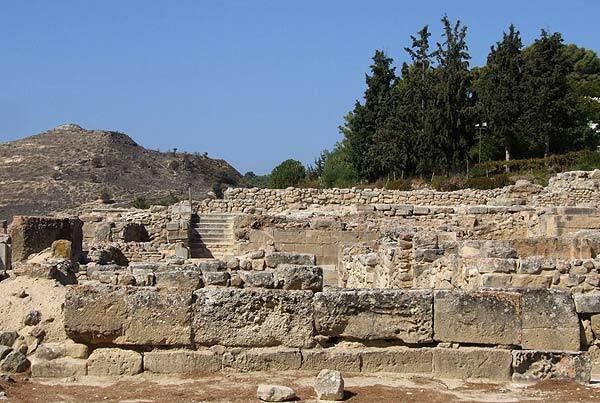 The history of the Minoan palace of Phaistos is similar to that of the other Minoan palaces of Crete, a turbulent one. The first palace of Phaistos was built in circa 2000 BC. Its founder, according to the myth, was Minos himself and its first king was his brother Radamanthys. 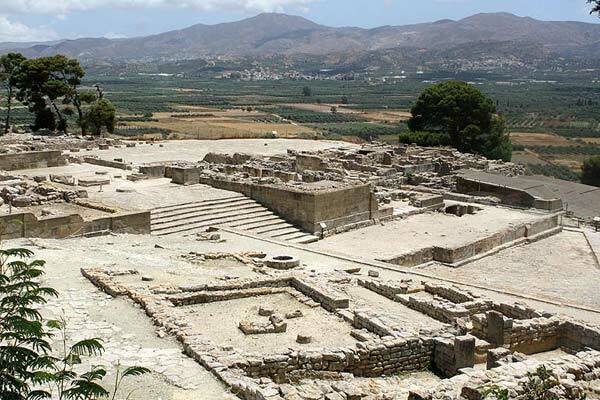 In 1700 BC a strong earthquake destroyed the palace of Phaistos, which was rebuilt almost immediately. 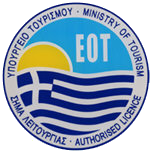 But it was no longer the administrative centre of the area, the honor passed to the neighbouring Agia Triada. 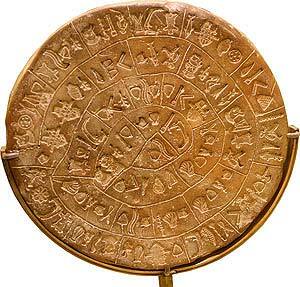 Phaistos however continued to be the religious and cult centre of south Crete. 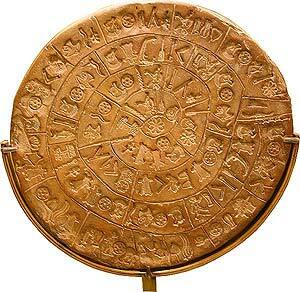 In 1450 BC there was another great catastrophe across the whole of Crete. The city of Phaistos recovered from the destruction, minted its own coins and continued to flourish for the next few centuries until the first century BC, when it was destroyed by neighbouring Gortys. 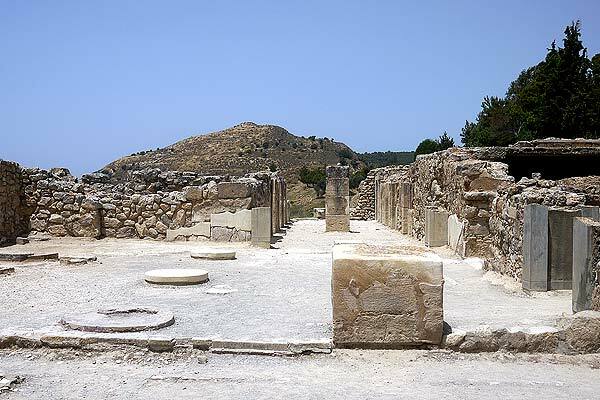 The first excavations in the wider area of Phaistos were undertaken in 1900 by the Italian Archaeological School under Federico Halbherr and Luigi Pernier, The excavations continued after the Second World War under Doro Levi. Most of the buildings visible today belong to the Neopalatial period (1700 – 1450 BC). 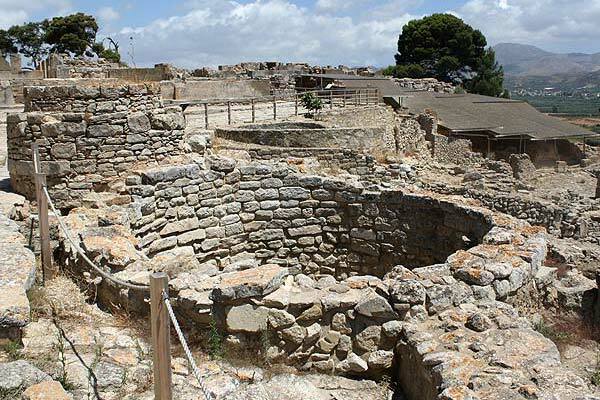 Unlike Knossos, there have been no efforts at restoration but only conservation.